Happy Tuesday! It's time for another round up of fabulous DIY projects made by you. Ballers of the blog world. First off, this wasn't a submission, but I had to share. 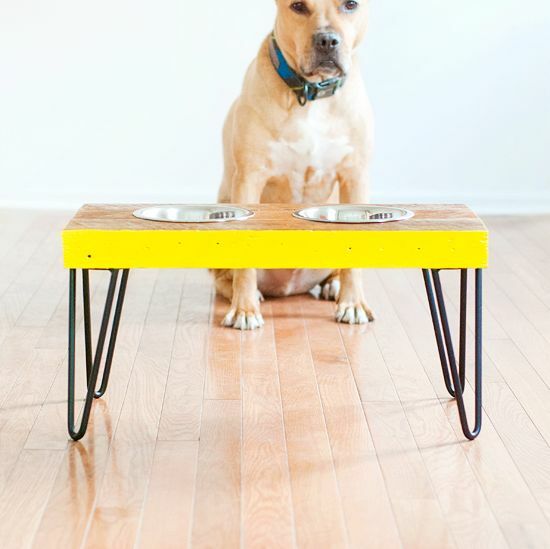 Hello, ridiculously adorable DIY raised dog feeding station. I think Tucker (and his momma!) may be in love. I need one of you, stat! Major shout-out to Yellow Brick Home, I lurrrve this project! On to your awesome submissions. 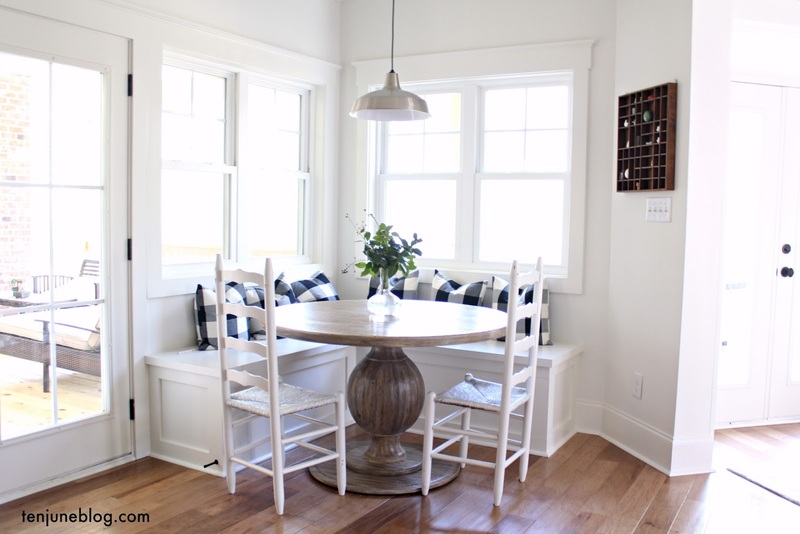 I love this simple DIY roman shade by Sugar and Spice. Abby's fab curtain is a lot like the fakesie roman shade curtains I made for my kitchen! Tutorial for those here. 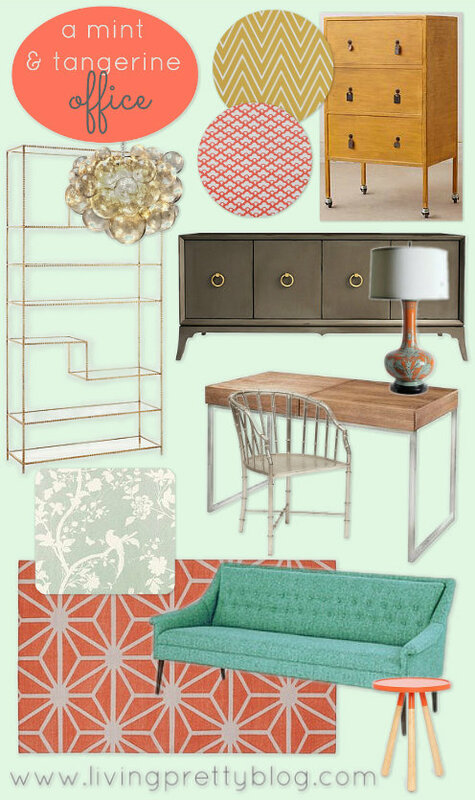 There is something that is totally inspiring about this glam mint + tangerine mood board from Living Pretty. I love these colors together! 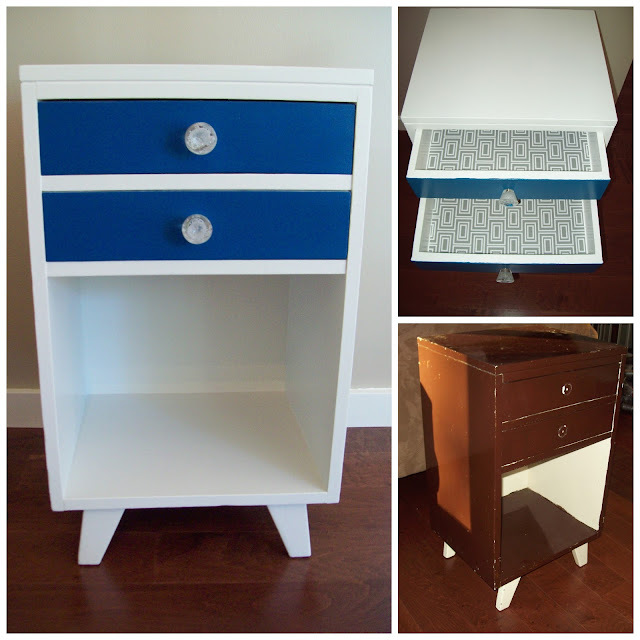 Check out this fabulous mid-century modern nightstand redo from Wilma. She doesn't have a blog but totally should because she's clearly super talented! 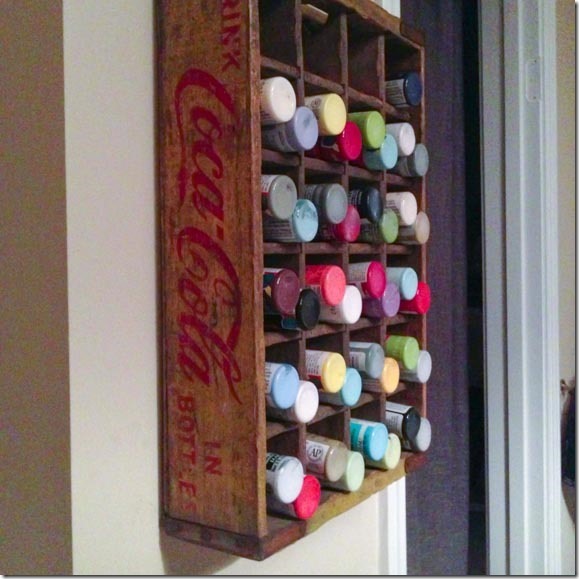 I love this adorable vintage crate turned craft paint storage idea from Deepest Ocean Blue. What a smart idea! I need to get my craft paints organized, that's for sure. If you've got something great you've worked on recently, send it my way! Via email at: tenjuneblog@gmail.com (please put "Tuesdays at Ten June" in the subject line) or via Instagram at: #tuesdaysattenjune. I love to look at lots of projects, so feel free to keep 'em coming! What a perfect idea for craft paint!! I love the material used for the roman shade! And thanks for featuring my nightstand! Love that kitchen curtain! I've been wanting to do that in our kitchen too!